Cristiano Ronaldo's legacy in football has met another chapter this week, with the Portuguese forward scoring his 300th goal while wearing a Real Madrid jersey. Game after game, Ronaldo keeps proving why he'll go down as one of the most prolific strikers and talented players in this sport. It's now only a matter of time before CR7 finally beats Alfredo Di Stéfano (305) and Raúl (323) as Real Madrid's all-time top scorers and when he does so, he'll certainly be one step closer to cementing his legendary status in Madrid's history books. Ronaldo's goal, his 12th header of the season, was his 300th in a Real Madrid uniform, a spellbinding feat that few could have predicted when he joined the team in the summer of 2009. Back then. Ronaldo was of course already great, having previously picked up the World Player of the Year award for his performances with Manchester United, but he was a far different player and some wondered if he could adapt from the physical Barclays Premier League to the more tactically evolved teams in Spain. Most shockingly however, has been his fantastic scoring rate. This is where Ronaldo really sets himself apart from his peers on the all-time top scorers lists. Ronaldo's 300 goals have come in 288 games, which should immediately be compared to Di Stéfano's 305 goals in 392 games, or Raúl's 323 goals in 741 appearances. Ronaldo's conversion rate of 1.04 quite simply dwarfs those of his competitors. What's even more interesting to note is Ronaldo's age. At 30, the Portuguese star still has some prime years left. 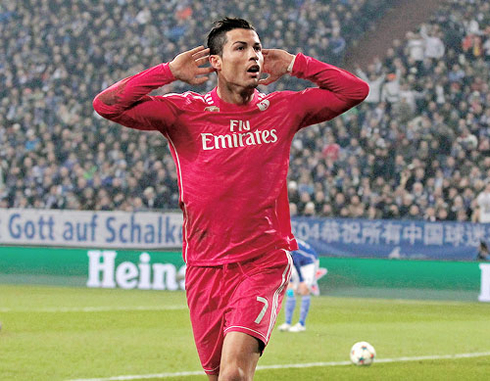 Yes, there have been plenty of rumors of Ronaldo's decline. The first couple months of 2015 saw the Portuguese legend struggle with form, fitness, and some would argue, his attitude too. But Ronaldo has gotten his goalscoring boots back in recent games and Real Madrid will need him at his sparkling best as the season draws to a close. From headers, penalties, long range strikes, back heeled goals, free kicks and match winners, he's done it all and the last act of his career will surely be a treat as he continues to make records. 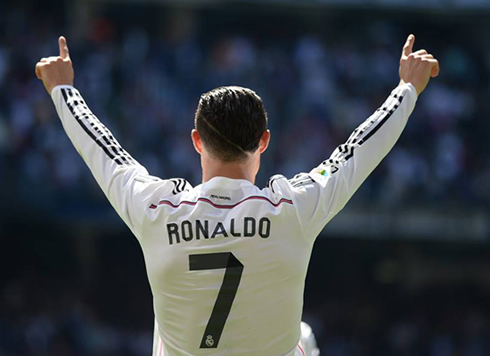 Cristiano Ronaldo next game will be in La Liga against Eibar, on April 11 of 2015. You can watch Juventus live stream, Real Madrid vs Eibar, Sevilla vs Barça, Man United vs Man City, Burnley vs Arsenal, and Bayern Munchen vs Eintracht Frankfurt, all matches provided from our soccer streaming section.